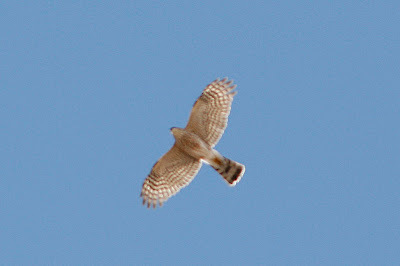 We've had occasional backyard visits from a Sharp-Shinned Hawk (pictured) and a Northern Harrier. 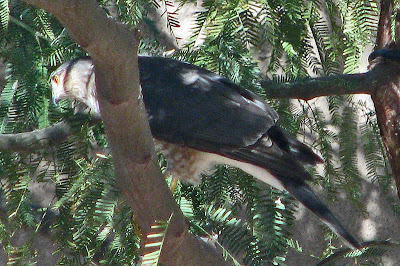 The Sharp-Shinned actually landed in our yard, and then the Mesquite tree. At lunch on Friday, I took a very brief walk at the perimeter of South Mountain. 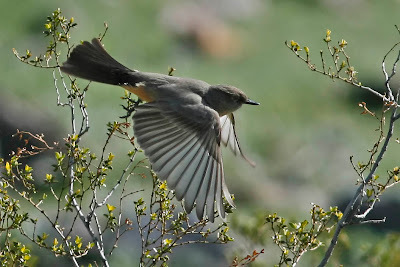 I saw Says Phoebe (pictured), Gila Woodpecker, Cactus Wren, and a few other common birds. It's still a little early for lizard activity - none were seen.